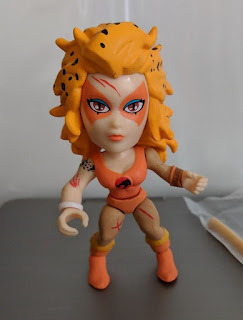 She's Fantastic: Loyal Subjects - CHEETARA! 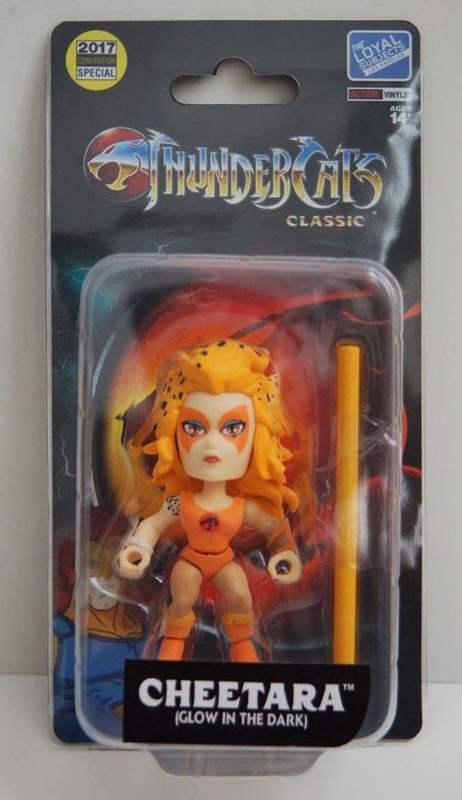 I'm always a sucker for anything Cheetara. There's something about cat-themed characters that has always appealed to me. Catwoman was the first one that caught my attention. 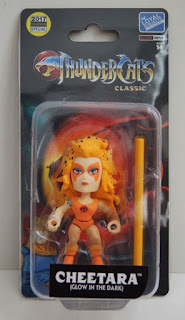 But Cheetara was the first felinoid with actual cat characteristics. The theme is huge in comics and cartoons. 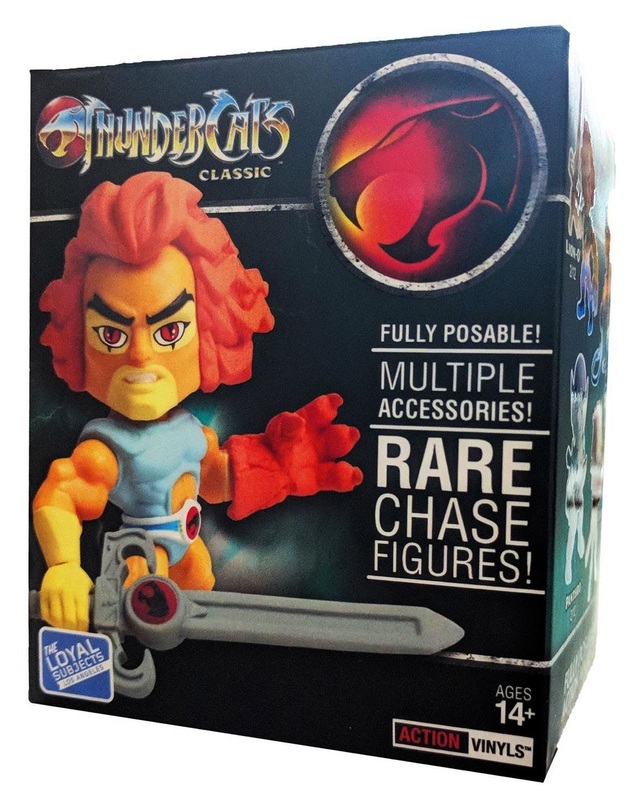 Something about felines and females complement each other and make for intriguing other-worldly characters, and I think the sheer amount of female felinoids in the toy world proves that is a recipe that works. 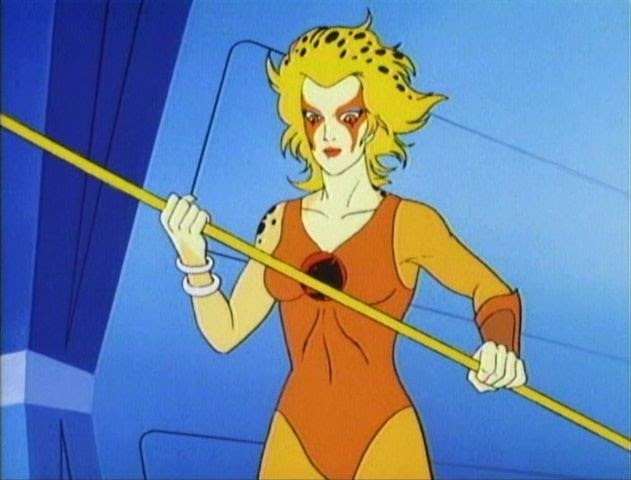 But with all the popularity of this character type, I think Cheetara will be always be my OG Cat-Girl. I can't see a piece of Cheetara merchandise without purchasing it. Luckily all the items I've picked up looked really good. Most of these Loyal Subjects females have questionable aesthetics to me. It's mostly the eyes that look more like Bratz dolls than their intended characters, but this Cheetara has an updated look that I think is terrific. Now my fingers are crossed for a Pumyra in the future. 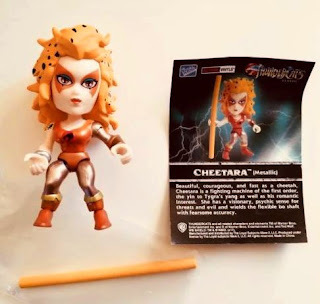 Let's check out Cheetara below! 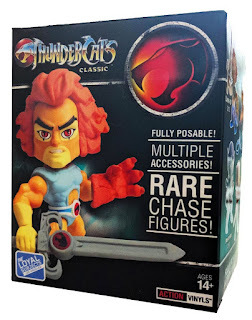 These figures are generally released as blind box figures with a pretty high pricetag of $10-13 a piece. I tried to get her a handful of times but eventually resorted to eBay. Cheetara comes with her signature Bo Staff. 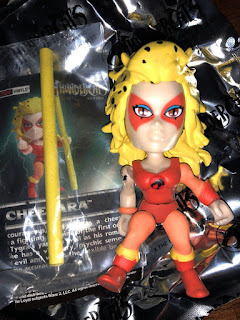 There have been several variants of this Cheetara figure so far. Clockwise from top Left: Battle-Damaged Variant (Walmart), Neon Chase Variant (Standard Release), GITD Carded Version (2017 Convention Exclusive), and Metallic (Hot Topic). Here she is next to her Funko POP and her Funko Vynl. And with two MOTU Loyal Subjects Action Vinyls, Teela and Evil-Lyn.